I was looking on the internet at a storm headed our way and it looked as though it would be coming directly at us; so I went out into my driveway and sure enough I could see it was near. I ran into the house. grabbed my camera and drove up to my favorite high spot to take these shots. 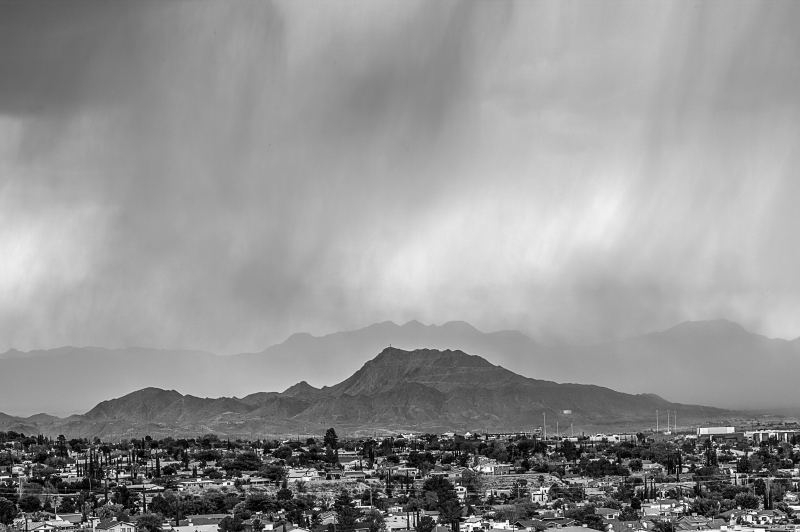 I took maybe 10 or 12 shots and that was it, the storm had covered Mount Cristo Rey and I was beginning to feel rain drops and had to scurry back home.